From Chicago to New York, America’s biggest cities are being overrun by rats. 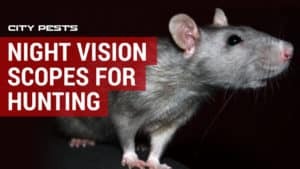 Having spent decades ridding residential and commercial properties of pests, I have tried and tested first hand a number of different ways to eliminate rodents – all with varying success. But one of the best forms of pest control is to use rat poison or rodenticides commonly referred to as bait. The main purpose of a poison or rodenticide is to exterminate rodents as quickly as possible in the least disruptive way. 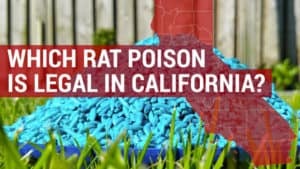 Therefore, when looking to purchase the best rat poison on the market it is important to consider the type of pest you want to eliminate and the environment in which you live in. For example, where will the poison be placed? Are there any pets in the home? Where will the rat go once they have taken the bait? Why is rat poison so effective? Poison, when administered correctly, is a rodent’s number one nemesis. 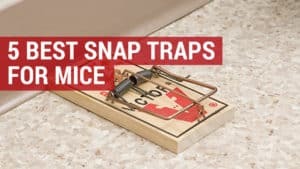 Commonly known as rat and mice bait, there are several types on the market that are readily available to purchase. Generally categorized into single (first generation) or multiple feed (second generation) baits, they contain lethal dosages of toxic substances. A single feed bait does exactly what it says on the tin and should only require one dose to rid you of rodents. This is best used in situations where you have persistent rats or a chronic infestation. Multiple feed baits, however, require several rodent feedings before they reach such a poisonous level and are considered to be safer for our wildlife. In fact, in certain states of America, first generation poisons are now illegal. Anticoagulants cause death in rodents by disrupting the ability for the blood to clot, resulting in internal bleeding. This does mean that death for the rat is often delayed and can take a number of days to start causing an effect, post feeding. Non-anticoagulants tend to target the rat’s nervous system causing paralysis and death, whilst others interfere with the calcium levels in their blood. Whilst most kill with a single dose, other may take longer to work. The Environmental Protection Agency works closely with manufacturers to ensure that all off the shelf rodenticides comply with certain requirements and legislation. Please make sure you are fully aware of the law before purchasing, as it is constantly changing. Type of rat: There are two main species of rat found in our homes – the Norway Rat and the Black/Roof rat. 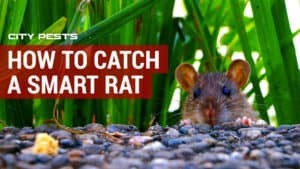 Both rats have very distinct characteristics and it is important to understand which you are dealing with, as this will affect where and how you place the bait. Norway rats like to live outside, burrowing holes and scurrying around in small spaces. Rat bait should be placed in hidden areas, down holes, along walls and in dark corners. It is therefore important that your bait can withstand all types of weather as well as ensuring that it cannot be accessed by other animals or children. Roof rats, as their name implies, prefer to live up high at the top of the house, nesting in gables and scampering around in the attic. When laying bait for these pests, you should ensure that it is placed off the ground, along shelves and upon ledges. Be pet safe: It’s not just rodents that can suffer the toxic consequences of poison, but pets and wildlife can too. Many animals are susceptible to coming into contact with rat poison no matter how well you hide it, so it is imperative that if you have pets you use a bait box or try alternative methods. Some rodenticides such as the Contrac Blox, are pet safe but this simply means that they are less toxic to non-target animals and do not guarantee your pet from getting ill if accidentally consumed. Use bait boxes: If you have pets or live close to other animals, I would strongly advise that you place your poison securely in a bait box (see on Amazon). This is a device that protects children, dogs and cats from accidental poisoning by containing the bait securely inside. 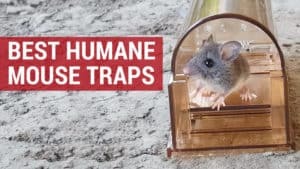 Although they do not trap the rat, they do allow them to enter, eat the bait and scamper back to their nest where they usually die. Although bait boxes are not a necessity, I would always use one regardless of the circumstances to prevent unfortunate situations from occurring. It is also a great way to monitor whether the bait is appealing to your rats by being eaten and by looking out for signs of rat droppings. Bait shyness: Rats are clever animals and have learnt to identify items that may contain toxic ingredients. Therefore, it is imperative that you remove any other potential food sources from the vicinity that may be more attractive for them to consume. In order to avoid bait shyness, you may want to tempt them into the box with a variety of non-toxic foods in advance of placing the bait, so that the rat comes to view the area as somewhere they can get a fulfilling ‘takeout”. Banned in California: The purchasing of off the shelf secondary poisons has been banned in the American state of California since 2014. Wild species including mountain lions, hawks, endangered foxes and northern spotted owls were thought to have been at most risk with many dying upon consuming infected rodents. Why use poison over other methods? There are many benefits to using poisons over alternative pest control methods. Rat poison is considered to be one of the most inexpensive methods for eliminating rats. You do not need to check bait boxes every day like you would a snap, electric or glue trap. By letting the rat return to its nest, you are taking away the need to dispose of any bodies – although I would add a word of caution, dead rats when decomposing nearby can give off a rather pungent aroma. Once you have identified your rodent problem and understood the environmental impacts of laying your bait, it is important to select the correct poison for the job. For Sale By PestControlPross See My Amazon Store for Other Pest & Rodent Control Products!! Active Ingredient: Bromadiolone .005% Target pests: rodents For use in: If unopened and sealed, product will last 2-3 years if kept away from extreme temperatures. Once opened, should last a year in normal conditions. 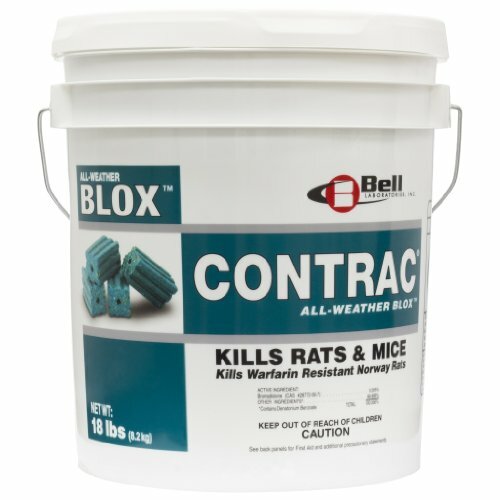 I tend to recommend the Contrac All-Weather Blox Rodenticide to clients who are concerned about neighbouring animals or pets, as it contains a less toxic ingredient. Should the worst ever happen, and the bait is consumed by a non-target animal, there is a known Vitamin K1 antidote. For additional preventative purposes, I always advise using a bait box when laying any type of rat poison or rodenticide. All types of rat and mice adore the taste of this bait (it has a subtle peanut butter aroma), and upon observing them feasting on it I have noticed how the multi-edged design appeals to their gnawing instincts. Although the cost of purchasing Contrac All Weather Blox is a more expensive outlay in comparison to others available on the market, the bucket you buy contains 18lbs of weatherable bait. If sealed and stored in a dry place, I have found that this can last for up to 3 years. 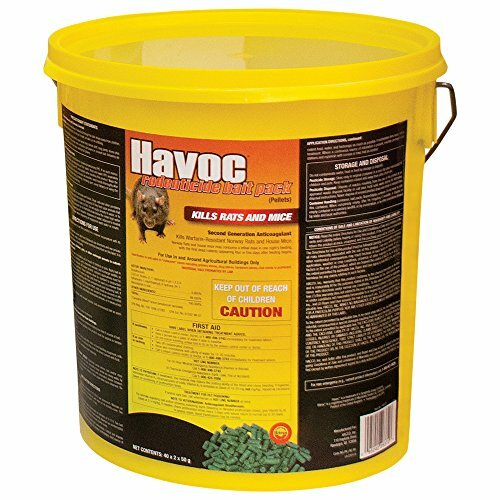 They say that good things come in small packages and that is certainly true for Havoc Rat and Mouse Bait. 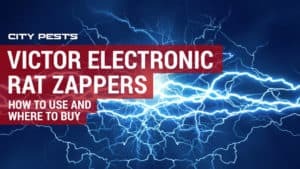 Although this product is one of the most expensive I will recommend to you, it still works out cheaper than employing a professional exterminator. The benefit of this bait is that it is made up of a brodifacoum anticoagulant formula that kills rats almost instantly once ingested. I love the fact that this bait is already supplied within little safety packages, which the rats have to gnaw through in order to eat. Once consumed, the rat will quickly become dehydrated and die. Due to the nature of their death, and the fact they generally venture out of the house in order to find a water supply, there is no lingering smell of rotting carcass. Water resistant you can leave them in bait boxes come rain or shine as you wait for the rat to take the bait. And they will, as both rats and mice love the taste of these small, yet scrumptious packages. Having used many Jaguar products, I have found that these ribbed blocks are a clear favourite with rats – infact in my experience they seem to prefer the red version over the green and simple can’t resist a nibble. And the good news is that they do actually work. 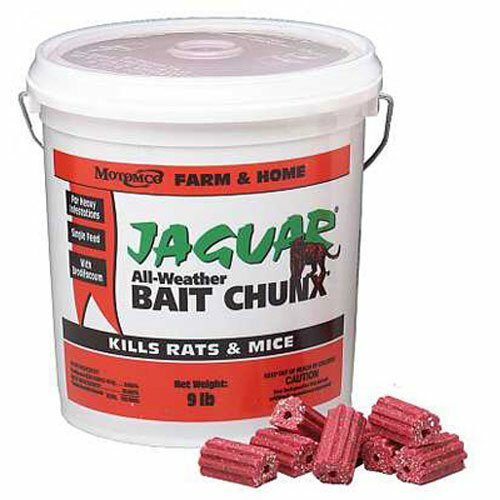 Containing both diphacinone and brodifacoum, the MOTOMCO Jaguar Mice and Rait bait is effective against all sizes and varieties of rodents. Another perk for making this purchase, are the options of pail size. The 18lbs bucket is a good choice if you have a large-scale infestation, whilst the smaller 1.75lbs container is useful if you want to get rid of a few unwanted visitors. 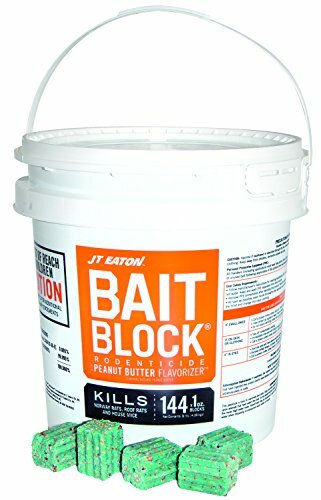 A cheaper alternative to those listed above, I have always found that rats love JT Eaton Bait, as like Contrac All Weather Bait, it is formulated with peanut butter. 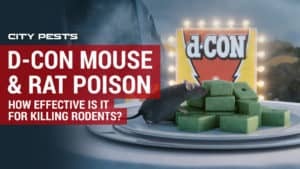 Being a first-generation poison, this rodenticide is effective for getting rid of smaller rodents, but if you have a large infestation or “fat” rats, one of the stronger poisons may prove more successful. That said, if you live in the State of California this is one poison that is safe to put down. The Tomcat all weather bait uses human food-grade ingredients to attract and convince rodents that this is actual food. 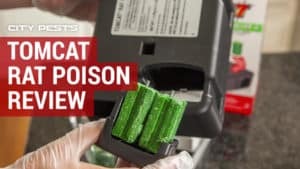 I have to say from previous experiences that it does work, however, it is not as instantaneous as some of the other more expensive poisons – often taking up to a week to take effect. So, I guess you could say that you get what you pay for and if you can afford to wait a few days to see results then this is a good product to purchase. The size of the Tomcat rat poison is particularly appealing as it makes it easy to put in hard to reach places, and they come with handy holes in which to insert them into your bait box station. 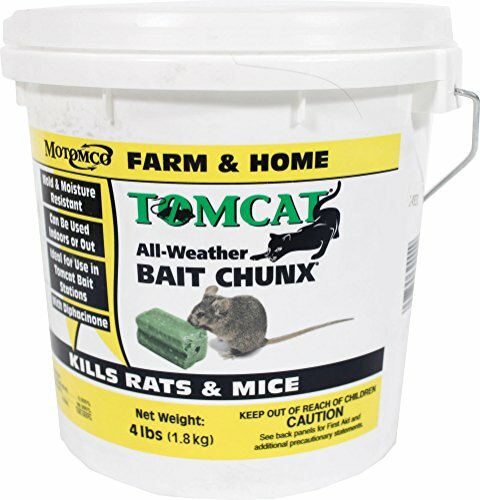 The Tomcat All-weather Bait Chunx can be ordered in two different sizes, depending on the severity of your rodent problem, and as the bait is weatherproof it can be used indoors and out. 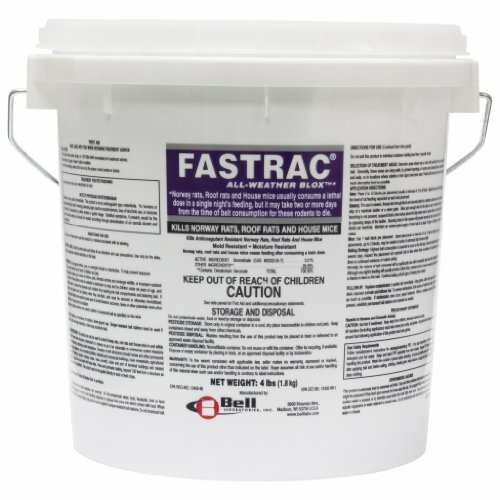 As its name suggests, Fastrac Blox is one of the fasting acting rodenticides on the market and has been specifically formulated for use on farms, warehouses and other industrial units. That said, I have used it countless times to combat chronic rodent infestations in residential properties too, with great success. This vibrant, purple poison does work incredibly fast, often within the first night, due to the highly toxic ingredients. As always, I would strongly advise using a bait box, but also doing a recce each morning to check for dead or dying rodents within your vicinity, as you do not want to be dealing with the aftermath of a rotting carcass or pets to touch them. As it is effective so quickly, although this may be considered a more expensive purchase it is likely to last you a long time. This poison is worth every dollar, as it is certainly not considered a cheap poison, but it is my “go to” product when carrying out pest control at client properties. Due to its powerful components I would strongly recommend that you handle with care. If you purchase the Talon G mini bait packs, you will find that they are conveniently packaged so you don’t have to touch it at all. Plus being wrapped up makes them weatherproof so that they can be used all year-round. This product is lethal to rats, killing them almost instantly. They can’t seem to resist the mixed food grain contained inside and die after a single feed. If you have the money, I would definitely recommend the Talon G as my poison of choice. Although the price tag feels hefty, I can assure you that it is worth the investment and still far cheaper than calling out a pest control expert (who will doubtless use this product anyway). It is fast acting and incredibly effective and I can guarantee it will rid you of rodents in no time at all. 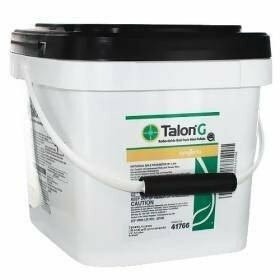 If you are looking for something equally as effective but at a fraction of the cost as the Talon G, I would suggest using Contrac Blox. This stuff really works, killing all rodents who gnaw it, whilst being less toxic to non-target animals. Once you have decided on which rat poison to purchase it is important that you read the instructions thoroughly before distributing it. I have often had people blame the failure of the poison for rats still running around, but this is very rarely the case. It is far more likely to be due to the administration of the poison itself. The first thing you should do is monitor where you think the rats may be roaming. This involves looking for places where they can enter the property and where you think they may be nesting. When you have established this, you can work out a strategy for where to place your poison. Before laying any poison, you should seal any known entry points. Rats do not like change. They are creatures of habit and are often wary of new things such as food or objects. Therefore, do not make any major changes to the environment on day one and look out for foods of particular interest, as you may want to combine it with the bait in the first instance. I would always recommend using a bait box. This way you can let the rat in to get the bait whilst keeping pets and children out. Look to place these boxes near the source of the rat infestation but please be mindful of small people being able to reach them. Put the bait in boxes around 50 feet apart and avoid moving them if you can, as it may take time for the rat to acknowledge it. Make sure the bait boxes are well stocked at all times, especially at night and make sure you use weatherproof bait if placing them outside. If your rats are bait shy, try mixing in some familiar food to tempt the rat in. Look out for signs that rats have visited. This could be bites taken out of the bait, rat droppings or even greasy marks. Once the bait has been consumed, make sure you take a thorough look around your property in case the rodent has died close by. Dispose of any carcasses responsibly. I always tell people that prevention is better than cure, so poison should always be a last resort. 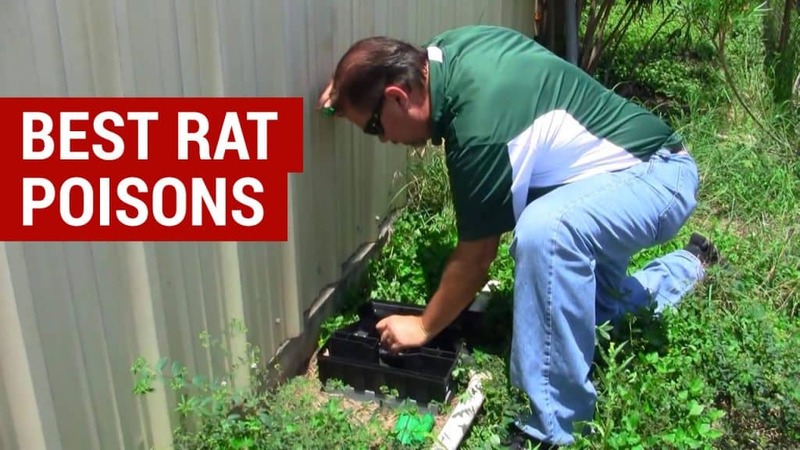 You should look at ways of stopping rat infestations before they even occur, try using repellents and even lay some traps to get a better understanding of the situation. If you do decide to use poison, please look at the ones I have recommended or choose a reputable distributer. Buy and use poisons responsibly, reading the instructions thoroughly and considering all the environmental and social impacts. Finally, please ensure that you place your bait within a secure bait box to minimise any accidental poisonings. Can rat poison kill dogs? How long does Tomcat rat poison take to work?